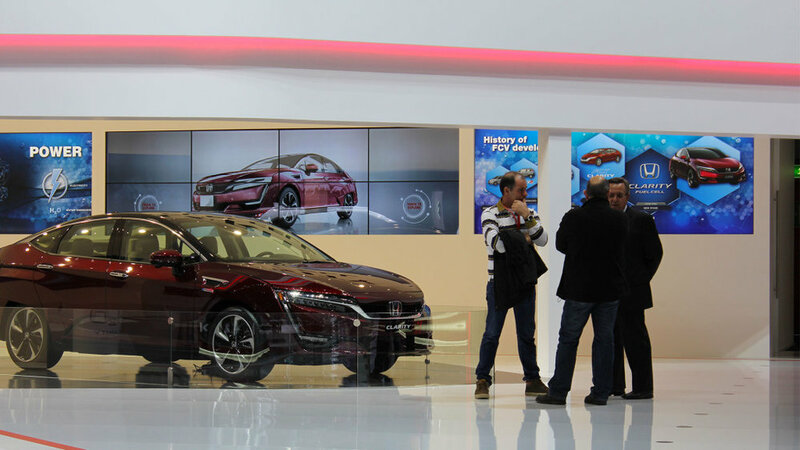 For the Geneva Car Show we worked with Avantegarde London to produce a giant touch interactive experience for Honda. The installation brought to life Honda's Fuel Cell Technology for their latest version of Clarity car. 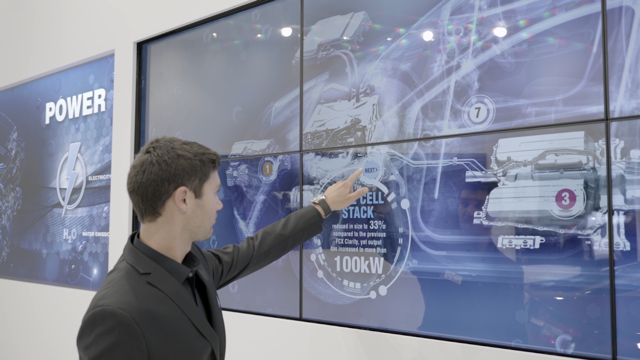 The content was displayed across a nine screen plasma wall, each screen with full HD resolution giving a high quality picture. We used 3D CAD files sent from Honda's engineering team in Japan to produce the 3D effects used in the touch app. Avantegarde supplied videos that taught users about the new technologies. All the motion graphics and special effects have been developed in software and react in real-time.